Below you fill find all funeral homes and cemeteries in or near Red Bluff. Suburbs of Red Bluff: Dairyville. Red Bluff is also known as: Tehama County / Red Bluff city. Zip codes in the city: 96080. Tehama County funeral flowers can be purchased from one of the local funeral shops we partner with. Founded on October 22, 1922, Home Undertaking Company was built at South and Pine streets in Redding. The original stockholders were L. Stanford Scott, Ollie Rose, William Stevens, James Wright, Roy Weekly, Harry W. Glover and H.S. Mossor. Some of the notable people born here have been: Chuck Cecil (american football player and coach), Michael Chiarello (chef and screenwriter), Gale Gilbert (american football player), and Reed Fish (actor and screenwriter). 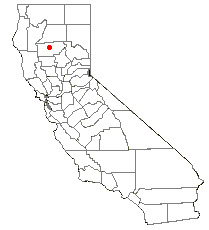 Red Bluff is a city in and the county seat of Tehama County, California, United States. The population was 14,076 at the 2010 census, up from 13,147 at the 2000 census.Red Bluff is about 30 mi (48 km) south of Redding, 40 mi (64 km) northwest of Chico, and 125 mi (201 km) north of Sacramento. It is the third largest city in the Shasta Cascades. It was reported by Grand Island Independent on March 8th, 2019 that Carlos M Romay perished in Hastings, Nebraska. Romay was 64 years old and was born in Red Bluff, CA. Send flowers to express your sympathy and honor Carlos M's life. It was reported by Klamath Falls Herald and News on August 26th, 2018 that Richard Alan Gay perished in Klamath Falls, Oregon. Gay was 67 years old and was born in Red Bluff, CA. Send flowers to share your condolences and honor Richard Alan's life. It was noted on August 22nd, 2018 that Maurette Stacy "Jody" Wheeler (Stacy) died in Red Bluff, California. Ms. Wheeler was 88 years old and was born in Shoshone, ID. Send flowers to share your condolences and honor Maurette Stacy "Jody"'s life. It was reported by The Mail Tribune on August 9th, 2018 that Judy Ridner (Gier) passed away in Medford, Oregon. Ms. Ridner was 71 years old and was born in Red Bluff, CA. Send flowers to express your sympathy and honor Judy's life. It was noted on July 8th, 2018 that Louis Eugene "Gene" Ross died in Red Bluff, California. Ross was 87 years old and was born in Sturgis, SD. Send flowers to express your sympathy and honor Louis Eugene "Gene"'s life. It was disclosed on March 17th, 2018 that Louis Eugene Ross passed on in Red Bluff, California. Ross was 87 years old and was born in Sturgis, SD. Send flowers to express your sympathy and honor Louis Eugene's life. It was written on January 10th, 2018 that Betty Meents (Barton) passed on in Red Bluff, California. Ms. Meents was 88 years old. Send flowers to express your sorrow and honor Betty's life. It was written on October 15th, 2017 that W LouEllyn Kelly passed on in Red Bluff, California. Kelly was 77 years old and was born in McAlester, OK. Send flowers to share your condolences and honor W LouEllyn's life. It was disclosed on August 20th, 2017 that James Ferdinand Schieve passed away in Red Bluff, California. Schieve was 99 years old and was born in Hancock, MI. Send flowers to express your sorrow and honor James Ferdinand's life. It was written by Texarkana Gazette on March 8th, 2017 that Terrill Hamric passed away in Texarkana, Texas. Hamric was 68 years old and was born in Red Bluff, CA. Send flowers to share your condolences and honor Terrill's life. Reed built and started a hotel near where the creek now known as Reeds Creek enters the Sacramento River and conducted it with great success for years. Ide built another at the "Adobe" Ferry, one mile (1.6 km) north. Wilson began laying out a town called Leodocia. The city of Red Bluff was incorporated in 1876. Most of the native population of the area died in a malaria epidemic in the early 1830s. The official website for the city of Red Bluff is http://www.cityofredbluff.org. Victim/Witness benefits include aiding with the trial process, funeral costs, and monetary compensations ... whose computer records go back to the 70s (sparing me a microfiche adventure in Red Bluff), and the unbelievable surfaced. Listing all funeral homes in Red Bluff, California so you can easily send flowers to any location (same day delivery) or find any funeral service. Find a map, directions and more for Allen & Dahl Funeral Chapel - Redding in Redding, CA. We work with local florists and flower shops to offer same day delivery. You will find budget sympathy flowers in Red Bluff here. Our funeral flowers are cheap in price but not in value.